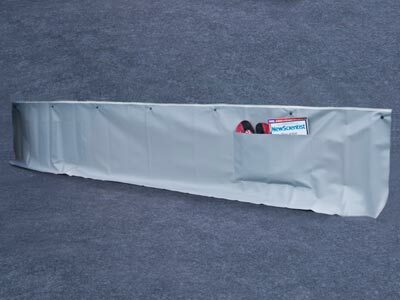 Christian De Paris Motorhome Skirting is currently available in 300cm and 550cm lengths and is supplied with a Single Wheel Arch Cover. Christian De Paris Skirting can be cut to the required size. 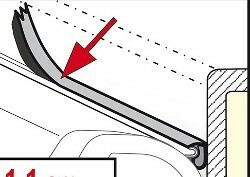 The Motorhome Skirting is secured using the supplied Poppers and Studs (already fitted to Skirting). 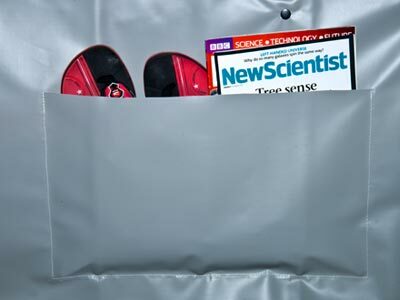 Made using quality materials and features utility pockets for storing light objects, such as magazines, flip flops etc. 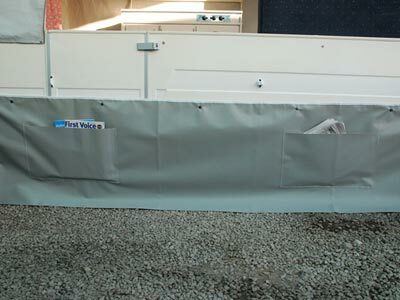 Christian De Paris Motorhome Skirting includes a durable handy Storage Pocket with Velcro lid. 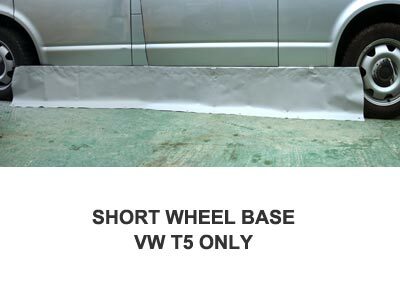 Motorhome Skirting suitable for VW T5 standard wheel base. Attaches to the wheel rim using hooks fitted to robust elastic cord. 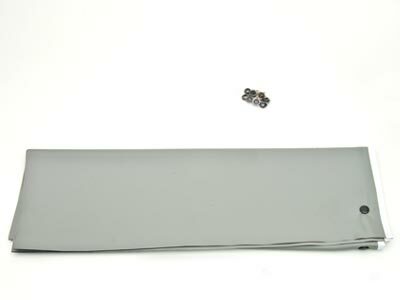 Powerful magnets hold the skirt again the VW T5 without causing damage. No Wheel Arch Cover, integrated pockets or storage bag provided. Suitable for Fiat Ducato after 06/2006 (high roof, short wheel base). Attaches using hooks fitted to robust elastic cord and powerful magnets (no drilling necessary). No integrated pockets or storage bag provided. 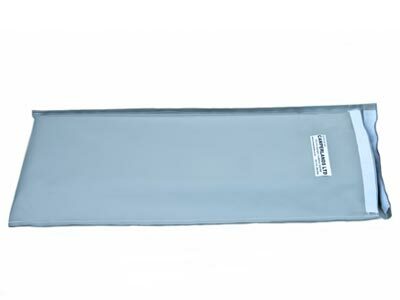 Christian De Paris is a Camperlands Ltd own brand, producing various accessories and outdoor covers suitable for the leisure industry. The brand has a strong focus on delivering quality at family affordable prices and prides itself on its ability to fulfill requests from customers looking for custom made solutions.